The theme of this week’s meeting is Assumptions, the art of seeing what we want to see and hearing what we want to hear. 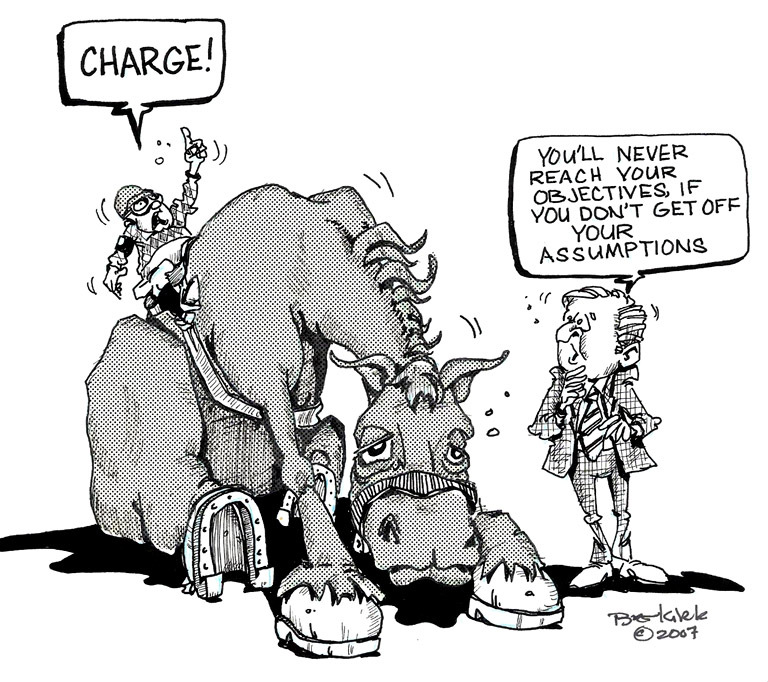 We assume every day…from assuming that our speech will be a big hit to assuming that the public will agree with our perspective …assumptions can build an entire imaginative inner world…Are assumptions a good thing? Our Toastmaster Andreea will share with us what she learnt about assumptions. This week we have 2 strong speeches prepared by 2 of the most prestigious members of our club, John and Eric. They are meant to inspire and persuade us to act. Also, stay tuned for a fun Table Topics session! And don’t forget that tomorrow we have a new location for our meeting, ING Direct Cafe on 221 Yonge Street at Yonge & Shuter (just one block south of Dundas). See you tomorrow! This entry was posted in Upcoming Meeting. Bookmark the permalink.